The Ukrainian city of Lviv is strongly oriented towards the West and the EU; the spirit of optimism and renewal nurtured by the Euromaidan protests in 2013 is merging with creative and IT industries. This is rounded out by modern infrastructure installed for the Euro 2012 such as a sports arena with VIP and event areas currently being used above all for congresses. obile communication in Germany has long outgrown the days of short message service SMS; in our times, three of four smartphones in Germany have installed What’s App. Facebook acquired the messenger service provider in 2014 for an incredible US$ 19 billion. What sounds like a typical Silicon Valley story of success, actually had its origins in a small village near the Ukrainian capital Kiev. This is where the What’s App inventor Jan Koum grew up. He is today the prototype for the Ukrainian self-made man. His fellow countryman Andriy Khudo in Lviv is trying to equal this outstanding track record. This particular Friday, the sun had long gone down, Khudo stood at the balcony parapet looking down on the compound of an abandoned bottling factory just outside his hometown Lviv. Rock music was in the air over the industrial wasteland. Explosion of creativity: The Lviv Craft Beer & Vinyl Music Festival in a former bottling factory. It was first night of the Craft Beer & Vinyl Music Festival, organized by Khudo's company "!FESTrepublic" in Lviv from April 27 through 29, with a flanking conference for intercommunication and qualification of brewers and craft-beer experts. "On the first day, visitors can meet the most successful representatives of craft brewing from Ukraine, Belgium, the Netherlands, Germany and other countries,” said Andriy Khudo. "The next two days the event is open to the public, connoisseurs and collectors, to celebrate craft beer and Vinyl Culture." The mixture of music event, food festival and flea market struck a chord in the region; the majority of guests was between 25 and 35 years of age, with crowds thronging at the food outlets and beertapping stations. The stage on the food street market featured bands from all music categories ranging from Ukrainian country music over swing to rock’n- ’roll, there was a cycle polo competition and 3Dmapping activities. Khudo and his company even thought of a children's play corner. This explosion of creativeness is certainly no coincidence: in 2007, Khudo opened the first Ukrainian restaurant situated in a former bunker. "We brought emotions to Lviv”, said Khudo. "I love the city, it has the right balance of comfort, inspiration and business". Lviv once belonged to Poland and Austria- Hungary. Their culture is present in architecture. Khudo sees the pro-European Euromaidan protests as a chance for further opening to the West: "We wanted to change the country. Freedom is very important to us!" Reality currently looks less rosy, because there still are armed conflicts ongoing in the far-most eastern part of the country on the border to Russia. The consequence is that the most talented people leave the Ukraine, and that's something he desperately wants to change. Lviv is located in the extreme west of the Ukraine, only 70 kms from the border to Poland. The armed conflicts in the east have no visible effects on everyday life. 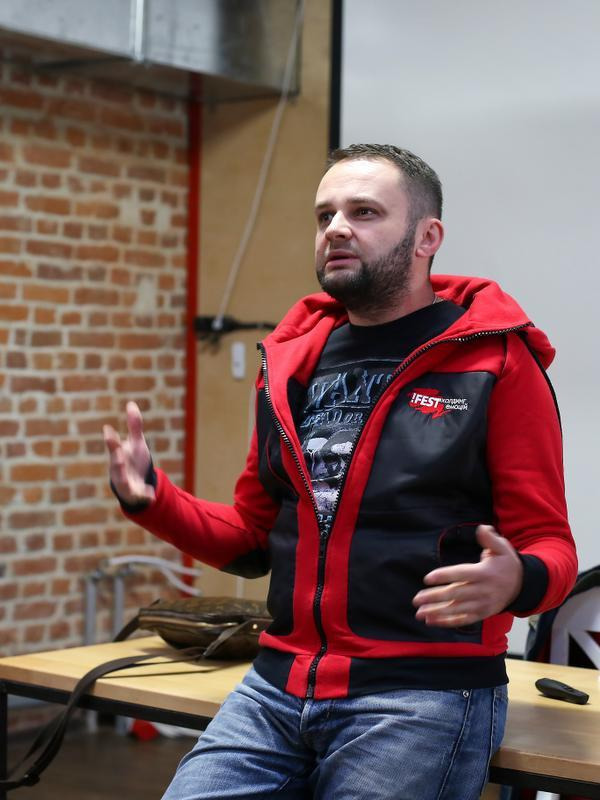 Khudo's dream and vision sees his city of Lviv in ten years as vibrant center of the creative industry. For starters, Khudo is running an event and catering business with a headcount of approximately 2,000. Khudo's company has spread out all over the Ukraine with a franchise network of confectioneries, in which chocolate hand-made at the premises is sold to customers in the shops. "The atmosphere in Lviv is as if you were in Europe - these chocolate houses give you the impression that you're in the EU without a visa", said Khudo. The founder and his company have set up approximately 100 themed restaurants in cooperation with their partners, among these is a strudel house chain with waitresses wearing dirndls. 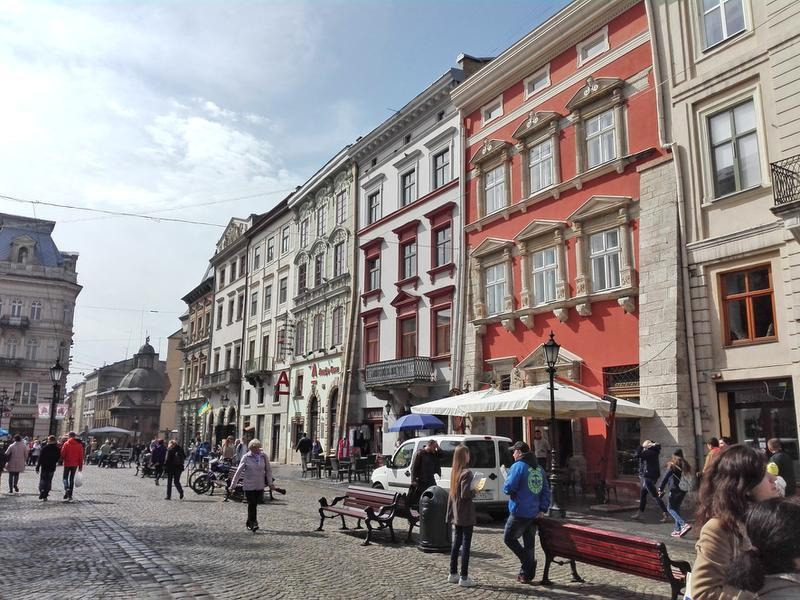 The strudel nostalgia is absolutely in accord with history: Lviv was once part of Austria-Hungary, under its German name Lemberg, and the important role of coffee and coffeehouses, for which Lviv is renowned even today, is reminiscent of that era. In 2007, enthusiasts established a coffee festival with trade congress, and this event was model to a Mozart festival, which will be staged for the second time from August 18 to 25 of this year. The Danube monarchy also left its mark prominently in the city's architecture, as did Polish and Soviet rulers, who in their respective times engaged in urban planning in Lviv. Andriy Khudo and his events company back the pro-European protests. Today, Lviv has almost everything a metropolis at the intersection between various cultures could wish for both for tourism business as well as the congress industry: there's its location in Central Europe, and an airport modernized for the Euro 2012 soccer championship and currently being expanded by a second terminal. The only thing missing is a dedicated congress center. There are hardly anymore visa barriers between the EU and the Ukraine; EU citizens require only their EU passport to visit the country.